A pop of pink is all you need with this tee. 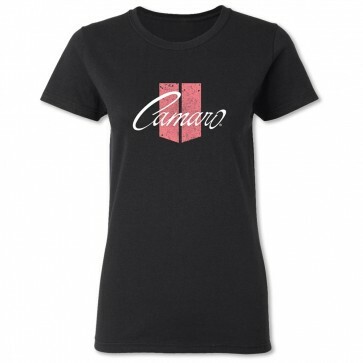 Camaro hood stripes accented in pink with the Camaro signature printed in cursive. 100% Cotton. Imported.